Mercury—of the nine known planets of our solar system, it is the closest to	the sun. It is also one of the smallest, only Pluto (the furthermost) being smaller. Even Ganymede (a moon of Jupiter) and Titan (a moon of Saturn) are bigger. Yet,	tiny Mercury has much to say about the origins of our solar system. Mercury is a planet of extremes. The side of the planet that faces the sun reaches	a temperature of about 430°C (more than enough to melt lead), while the dark	side is a frigid –170°. Mercury revolves around the sun every 88 days,	and has the unusual characteristic of rotating on its axis exactly three times for	every two complete orbits. 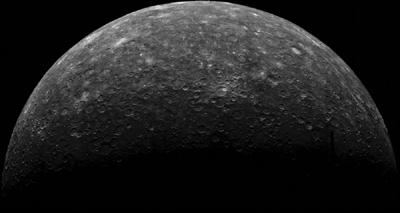 Much of our information about Mercury comes from the Mariner 10 fly-by of 1974–75. Lacking the variety and colour of some other planets, Mercury’s rocky, cratered	surface resembles the moon’s. But what is really interesting	about Mercury are the things that can’t be seen. Mariner 10 was the last of its series of spacecraft and the first mission to use the gravitational pull of one planet (Venus) to reach another (Mercury). The craft was launched in 1973 and reached Mercury on 29 March 1974. During the following year it returned 10,000 images of the planet and had mapped 57% of the surface when its power became exhausted. It is now in orbit around the sun. Scientists have discovered that Mercury has the highest density of all the known	planets (other than Earth). Mercury is so dense that it’s thought to have	an iron core occupying some 75% of its diameter.1 This extraordinary density has generated much turmoil and confusion in evolutionary	astronomy. Evolutionists mostly agree on models of planetary formation …	but their models say Mercury can’t be anywhere near as dense as it actually	is. After decades of struggle, most astrophysicists today have given up and admitted	that Mercury’s high density cannot be accommodated within slow-and-gradual-development	models. Consider the implications of this. 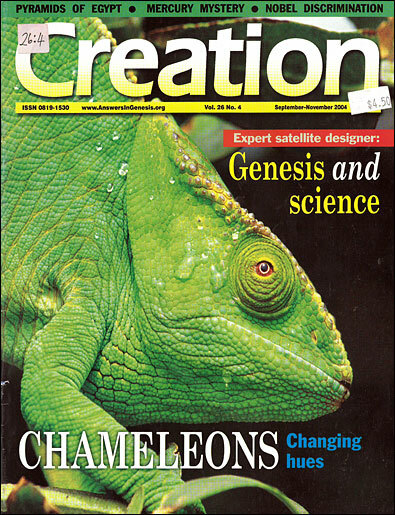 Evolutionists have admitted that the planet that	we see today cannot be explained by gradual evolutionary processes! This	is a stunning admission. Instead, they propose a long-ago catastrophic collision. What is the evidence for this collision? Only that Mercury would otherwise disprove	evolution! Over and over again in astronomy, cosmic collisions are invoked as a sort of magic	wand to rescue evolutionary theories from the facts. The planet Uranus is tilted	over, but evolution says it can’t be—therefore, long ago something hit	it and knocked it over. Venus’s rotation contradicts evolutionary predictions—therefore,	long ago something hit it and spun it round the opposite way. One of its days ≈ 59 Earth-days long! Mars’ atmosphere is too thin for evolutionist tastes—therefore, it used	to be thicker, but long ago something hit Mars and stripped most of it away. Mercury	is too dense for evolution—therefore, long ago something hit it and conveniently	removed the lighter parts. Evolutionists wave their collision-wand at will, and	yet mock as ‘unscientific’ the Christian belief in a one-off catastrophic	global Flood, despite the abundant physical and historical evidence for it. Mercury’s challenges to naturalism are not limited to its density. Evolutionists	received another rude jolt when Mercury’s magnetic field was discovered. To	understand why this poses a problem, we must discuss evolutionary ideas of planetary	magnetism. Most solar system planets have significant magnetic fields. Where do these fields	come from? Evolutionists (and long-age creationists) hold to a ‘dynamo’	theory, which requires those planets with magnetic fields to also have molten metal	cores. Through a complicated series of events, fluid motions inside the core can supposedly	generate a magnetic field. 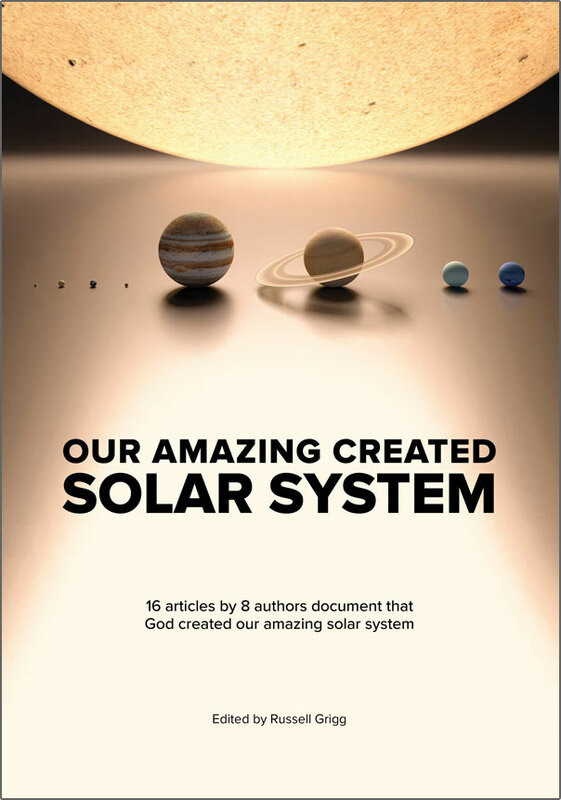 Evolutionists believe this idea because it is the only	mechanism they have been able to propose by which planets supposedly billions of	years old could still have magnetic fields—all of the other mechanisms would	require that the planets be very young. Back to Mercury. To be billions of years old and still have a magnetic field, there	must be fluid motions within a planet’s core. Therefore, the core itself must	be molten. 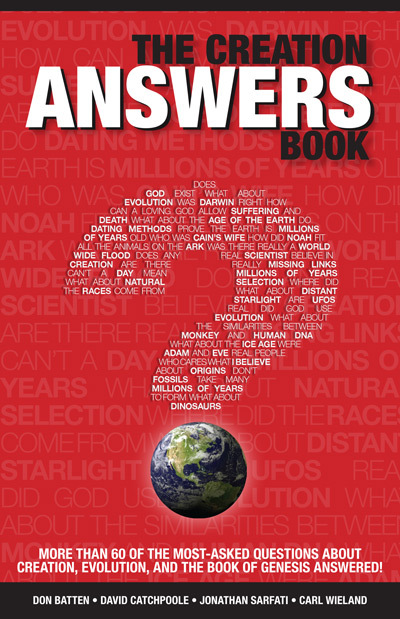 But as one evolutionist says, ‘Mercury is so small that the general	opinion is that the planet [i.e. its core] should have frozen solid aeons ago’.5 Therefore, the core cannot	be molten, and so evolutionary theories would have to conclude that Mercury cannot	have a magnetic field. But it does! Some evolutionists speculate that perhaps Mercury’s core isn’t iron	(which would have ‘frozen solid eons ago’), but iron sulfide instead	(which wouldn’t necessarily have solidified over these supposed eons). But	in solving the problem for Mercury, a much bigger problem is created. If you were standing on Mercury, you would see the sun rise, then immediately set again before rising again and travelling westwards. Similarly, at sunset, it rises again briefly, before setting once more. 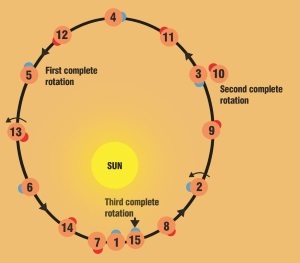 This is due to the way Mercury’s rotation combines with its very elliptical (egg-shaped) orbit. Click here for larger view. So we see that this tiny, seemingly insignificant planet creates enormous stumbling	blocks for those who wish to deny the Creator. Truly, ‘God has chosen the	foolish things of the world to confound the wise; and God has chosen the weak things	of the world to confound the things which are mighty’ (1 Corinthians 1:27). Whether or not the details of this model are correct, the very high density of Mercury is a fact, as it is based on measurements and observations. For example, we observed the planet’s gravitational pull on Mariner 10. Return to text. ‘The driving force behind previous attempts to account for Mercury has been to fit the high density of the planet into some preferred overall solar system scheme … . It has become clear that none of these proposed models work, and the high density is conveniently accommodated by the large-impact hypothesis, which makes Mercury unique.’ Taylor, S.R., Solar System Evolution: A New Perspective, Cambridge University Press, New York, p. 194, 1992. Return to text. 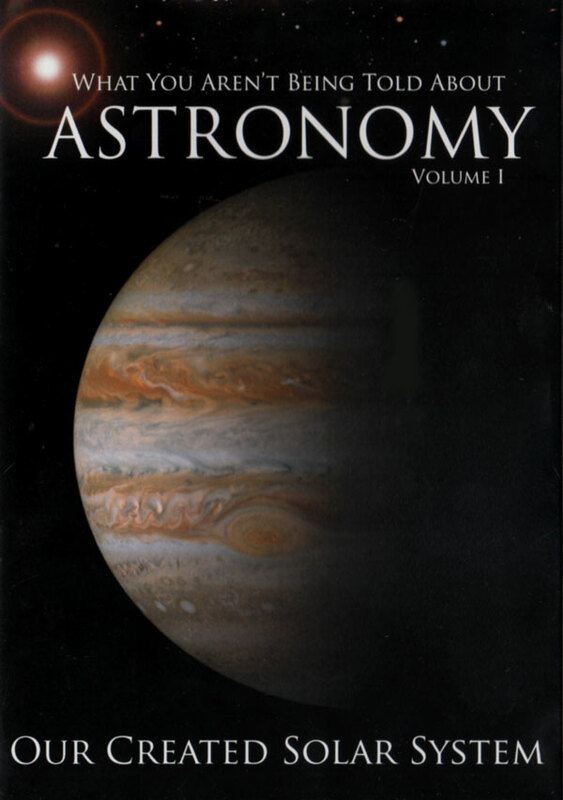 See, for example, Creation 24(3):38–40, 2002 for a discussion of Uranus, and Creation 25(1):22–24, 2002 for a discussion of Neptune. Return to text. For more documentation, see Sarfati, J., The earth’s magnetic field, Creation 20(2):15–17, 1998. For a more in-depth explanation, including documentation from a variety of secular journals, see Humphreys, R., The Earth’s magnetic field is still losing energy, creationresearch.org, 30 July 2002. Return to text. Taylor, S.R., Destiny or Chance: our solar system and its place in the cosmos, Cambridge University Press, Cambridge, p. 163, 1998. Return to text. Some evolutionists recognize this. ‘A pure iron core would have frozen long ago, so the most likely candidate is an FeS core … . The presence of the volatile element sulfur as a constituent of the planet closest to the sun has important implications for models of planetary accretion. If Mercury contains a substantial (2–3%) sulfur content, then this removes much of the rationale for a heliocentric zoning of nebular composition. Models in which Mercury accretes from high-temperature components only are no longer viable. If the innermost planet has a substantial volatile component (although FeS is the probable source of the sulfur), there is little basis for condensation models of planetary accumulation based on heliocentric distance.’ Ref. 2, p. 191, emphasis added. Return to text. See Humphreys, R., The creation of planetary magnetic fields, creationresearch.org, for one possibility. Return to text. Ref. 5, pp. 163–164. Return to text. Ref. 5, p. 166. Return to text.